Tomorrow is going to be the opening of our exhibition [E]motion in Architecture at the Künstlerhaus, Salzburg. 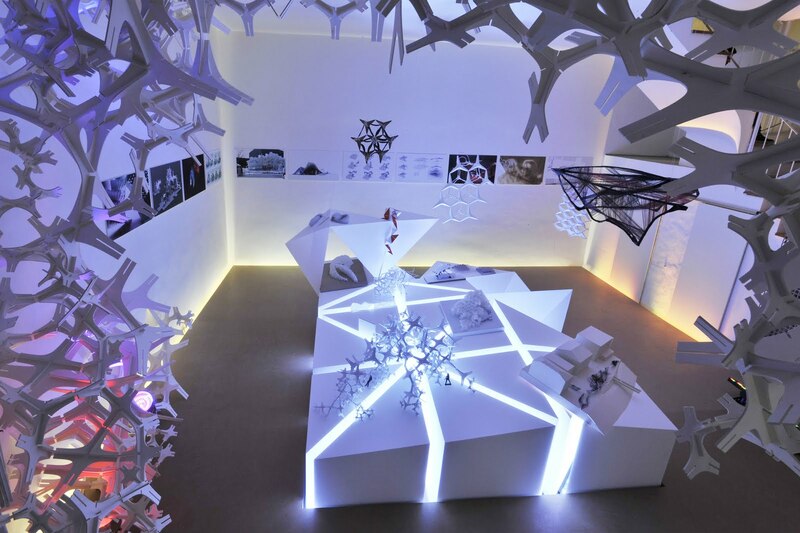 We’ll be showing projects designed via advanced parametric modelling tools that were produced using CNC machines such as lasercutters, 3D printers, wirecutters, milling machines and of course our KUKA robot. The exhibition room will close with the symposium “Materialising Digital Design” on April 4th – we have invited some very special international guests as speakers, more information will follow. 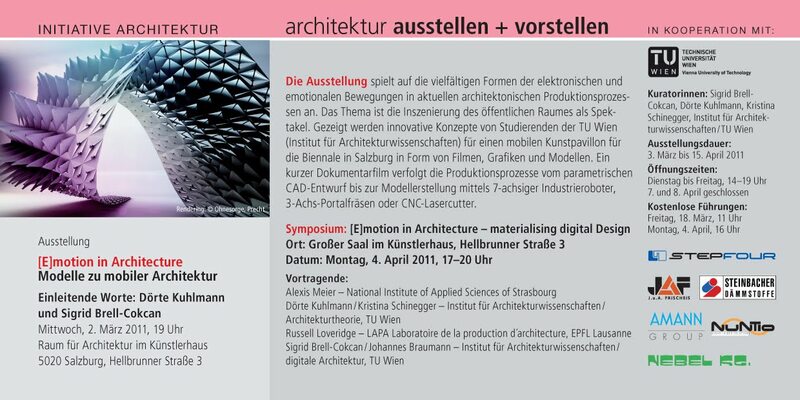 Kindly supported by the Faculty of Architecture, StepFour, JAF, Steinbacher, Amann, Nuntio and Nebel KG.